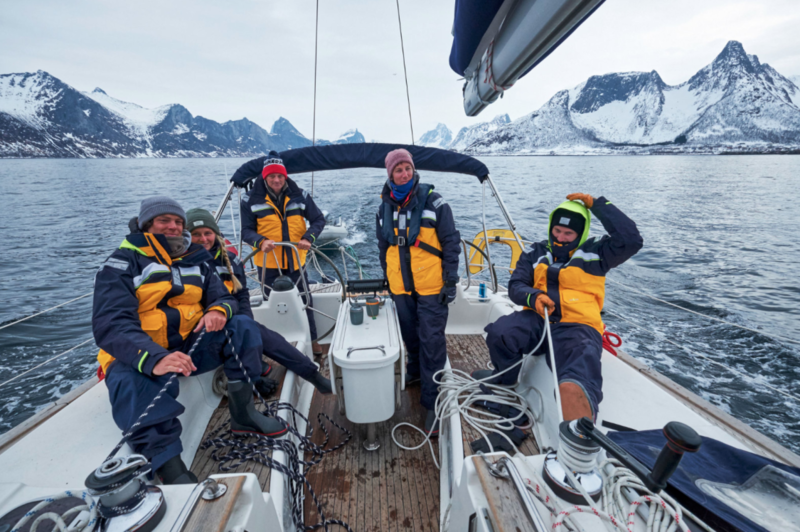 The astonishing landscape of North Norway offers a fantastic playground for ski touring and sailing. 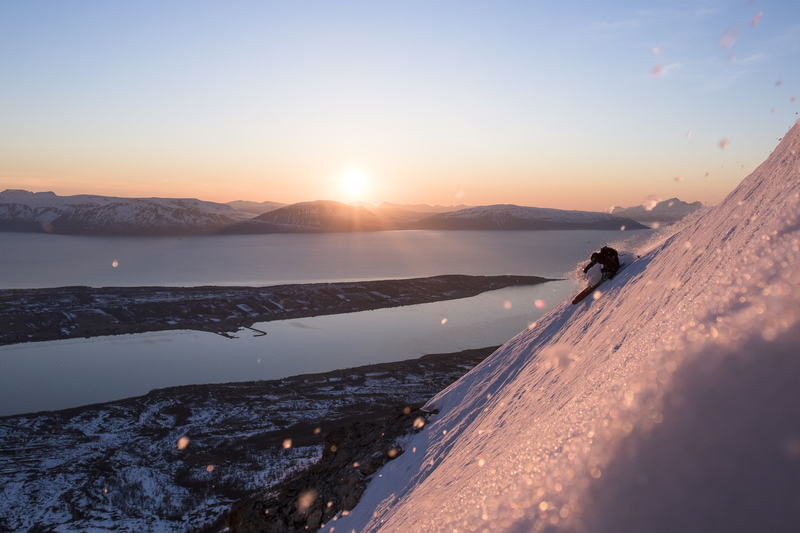 The astonishing landscape of North Norway offers a fantastic playground for ski touring and untouched off-piste runs, especially in springtime. 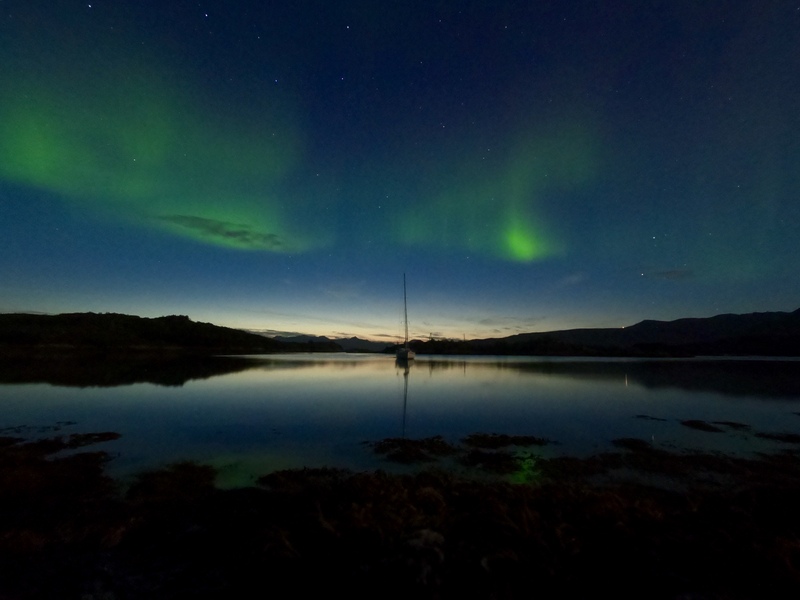 We use the boat as our base and can go to destinations only reachable by boat. 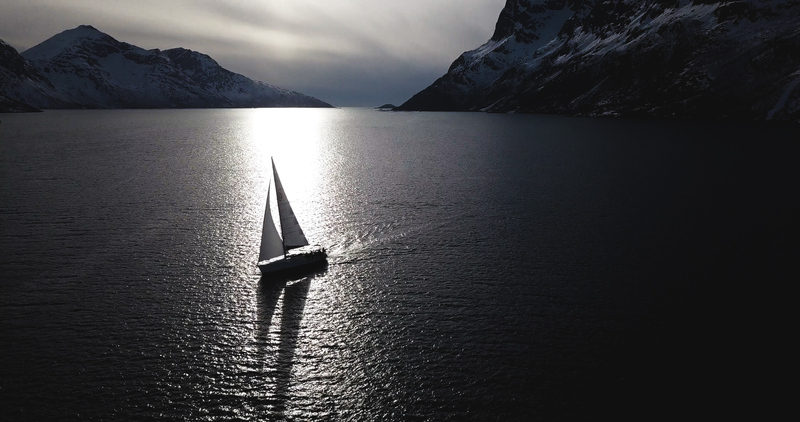 We convinced ourselves on a filming trip in 2018 and will now offer this adventurous combination of skiing and sailing to all of you. 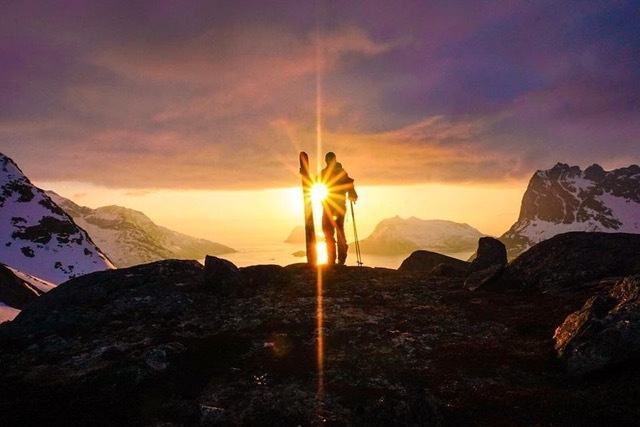 For one week, we want to climb the most fascinating summits with you. 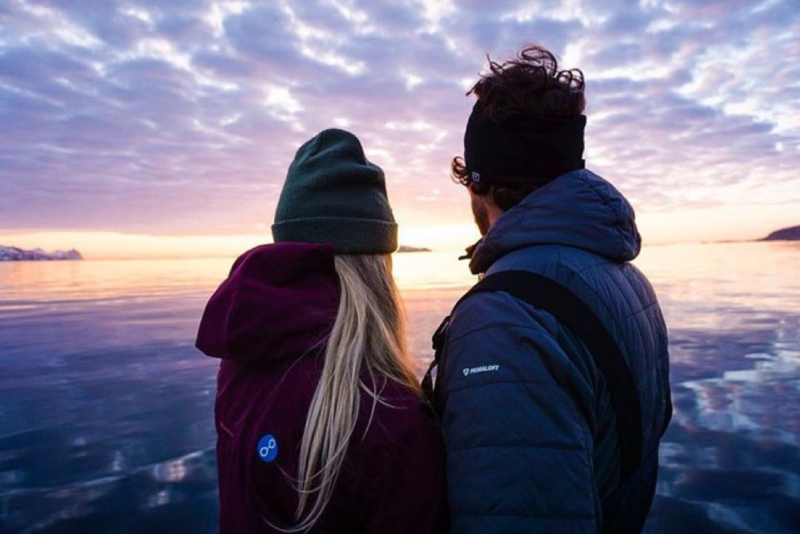 Professional Freeskier Felix Wiemers will try to find the best conditions on the mountain and Captain Lotta Görge will make sure that you will see the overwhelming nature from the ocean and feel safe and welcome on board. 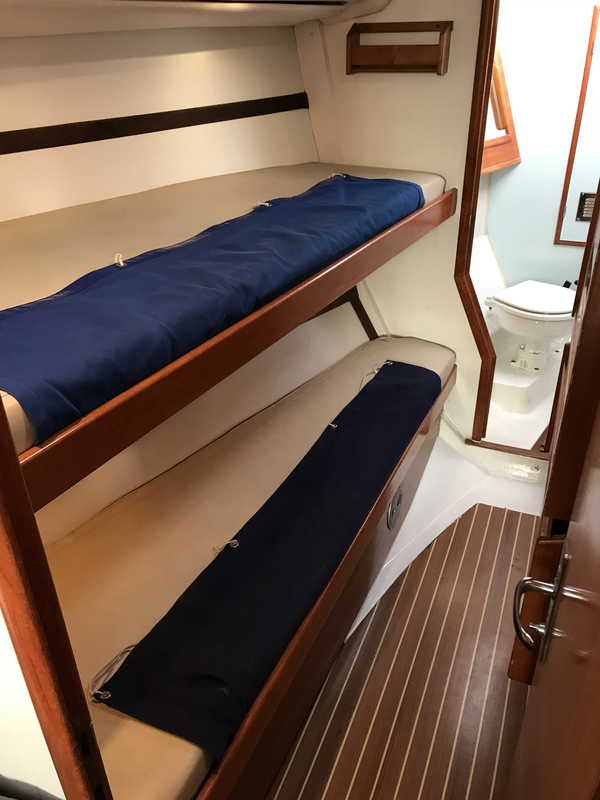 Our sailboat sleeps seven people and will be our home for a week full of adventures. For many years, Lotta and her twin sister Jule have been part of the German Sailing National Team. 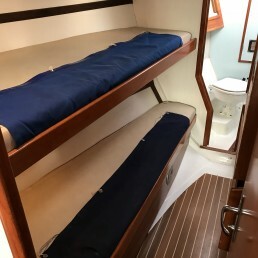 She has collected a lot of experience in the 49erFX, from which we will benefit on our trips. 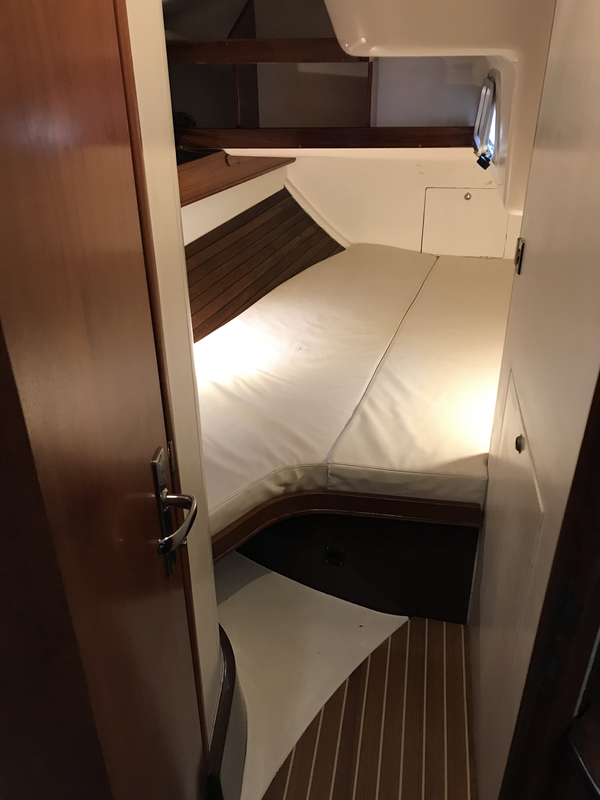 She basically grew up on a big boat and there was no way around sailing with her sailing fanatic family. Felix was part of the Freeride World Tour for five years and has accomplished some great results. He lives in Mayrhofen, Tirol during the winter season and produces Freeride movies together with the Midiafilm Crew. Whether it is off-piste, in the park or on the slopes, Felix knows it all and can not be missed at any après ski party. 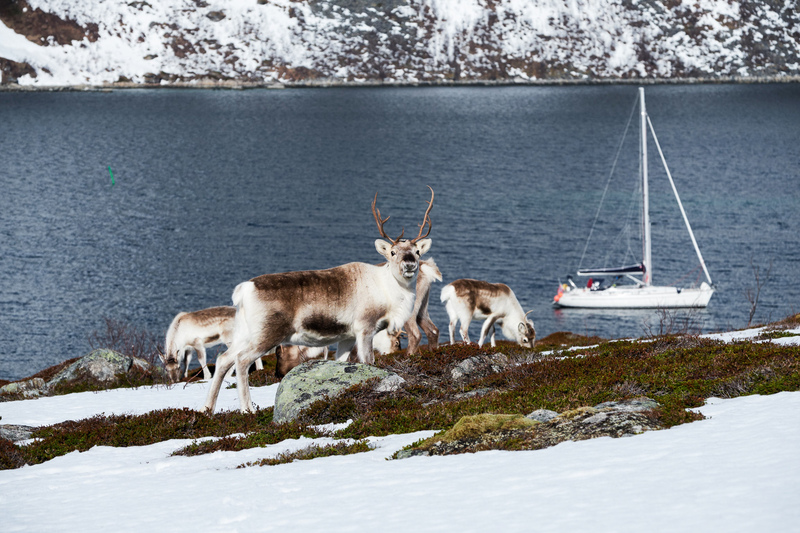 We will explore the area around Tromsø, Senja and Vannøya by boat and we will give you access to the best skitouring areas around. Preparing the ski equipment on a boat deck and anchoring on the foot of the mountain has a touch to it which can not be described. And what can be better than being accompinied by reindeers on the way down and enjoying the after-ski-beer with a view of the most incredible sunsets? Do you want to join? 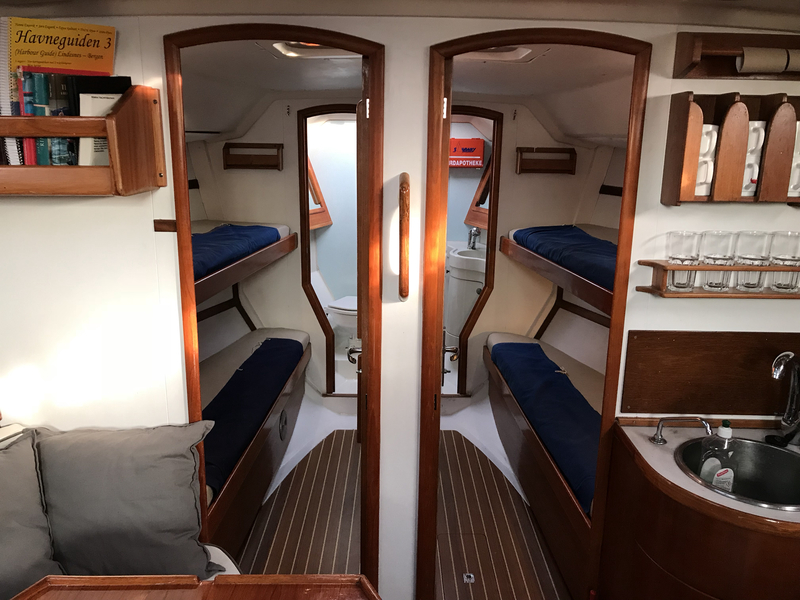 We are looking forward to welcoming you on board of Vilma! 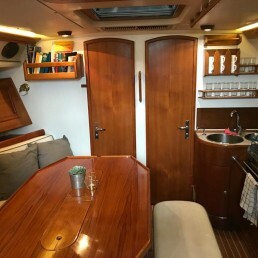 We are super happy about our Elan 43.1, Vilma. 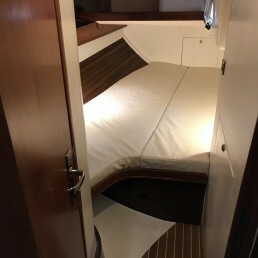 She is a comfortable and cozy Yacht. 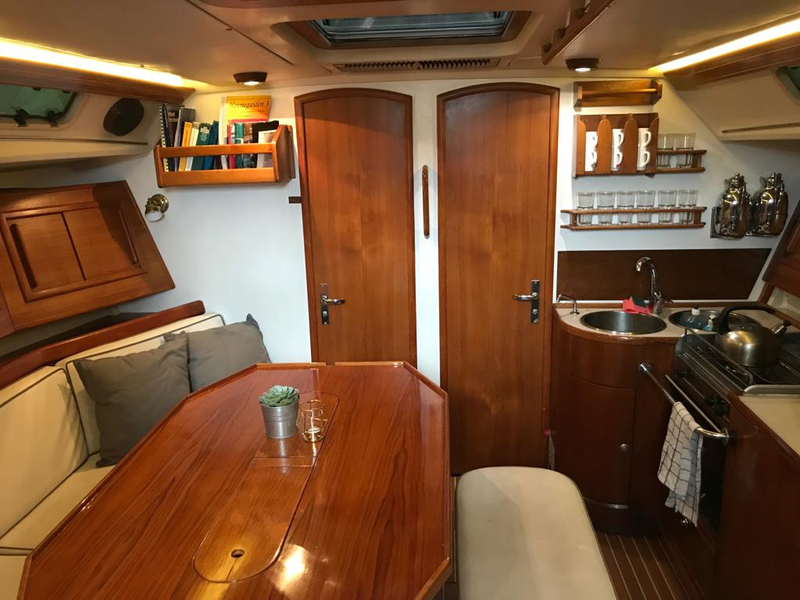 With a length of 13,5m and a width of 4m, she offers enough space for equipment and food. There is room for you and four of your friends or in a mixed group. We offer approximately 25 spots within five weeks to join us for one week. 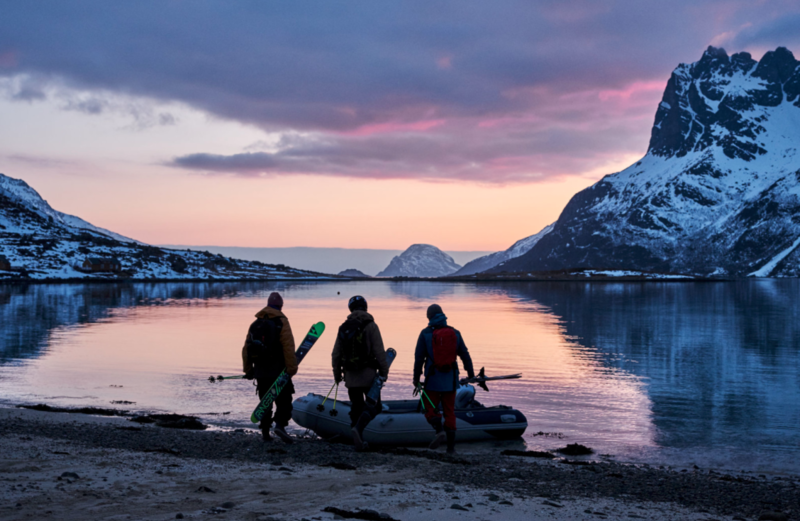 You can save a spot for 2.000€, including full board and an unforgettable adventure. 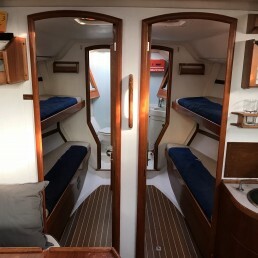 In the summer season, we offer Vilma for charter. Feel free to contact us for dates and rates. 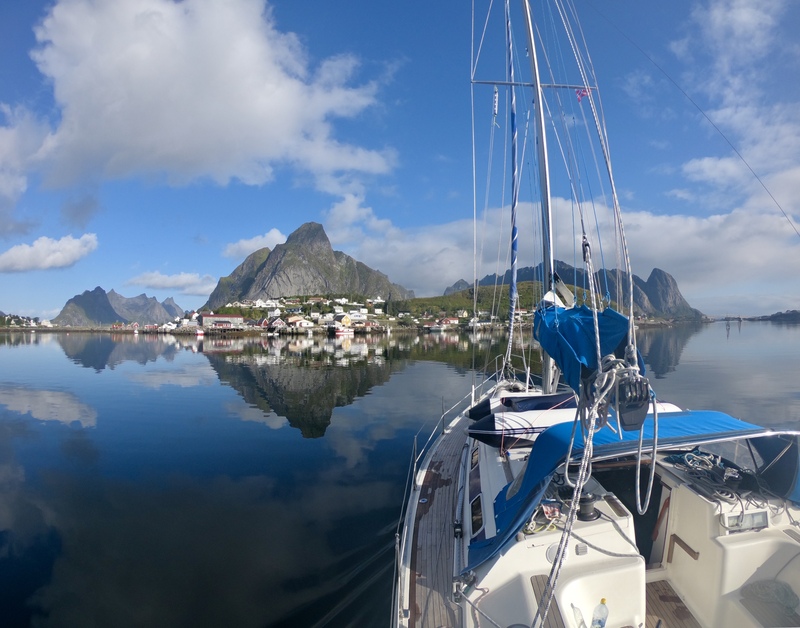 It is possible to explore North Norway with us as your team or just bareboat charter. Check out our trip dates! We'll see you soon.